Daydream of days at the beach looking out at the stunning open waters with this beautifully detailed secret message charm from Chamilia. 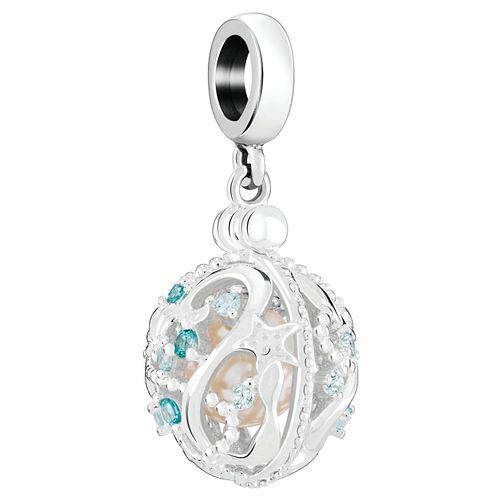 Beautifully crafted in sterling silver, set with ocean blue crystals and featuring a hanging pearl in the hidden centre, this charm is the perfect addition to any collectors bracelet. Chamilia Opulent Sea Secret Message Charm is rated 5.0 out of 5 by 3. Rated 5 out of 5 by Anonymous from Beautiful A beautiful charm. It's a nice size, very delicate and elegant. It goes perfectly with my collection.